Forgot to post in here. We saw this last night. I liked it a lot. I would need to rewatch the first one to know which I like better but it was close. Baby groot is adorable and one of my favorite parts is that they wouldn't tie him up or kill him because he was too cute. Saw it today. I really enjoyed it and baby Groot was fantastic. bmyoungs wrote: Saw it today. I really enjoyed it and baby Groot was fantastic. I think it was funnier than the first, but only because they crammed as many jokes in as they could. You're right, could have benefited from not using every single line of dialog as a setup to a joke. A 37-year-old Texas man is asking for $17.31 for his date's ticket after she allegedly used her phone during the screening. James Gunn on Tuesday jokingly weighed in on the report of a bizarre lawsuit coming out of Texas concerning someone texting during his latest film, Guardians of the Galaxy Vol. 2. A petition was filed in small claims court last Thursday in Travis County, which is located in south central Texas, the Statesman reported. Brandon Vezmar, 37, of Austin is asking for $17.31, the price of the ticket for a 3D showing of Guardians of the Galaxy Vol. 2, the newspaper reported. His suit is filed against an unidentified 35-year-old woman who was allegedly texting during the film. The couple met online and were on a first, and it appears last, date, the Statesman reported. Vezmar claims, as cited by the newspaper, the woman checked her phone numerous times during the film and responded to text messages. Gunn, who is a prolific social media user, saw the report and decided to give his opinion on the matter. "Why stop at suing? She deserves jail time!" 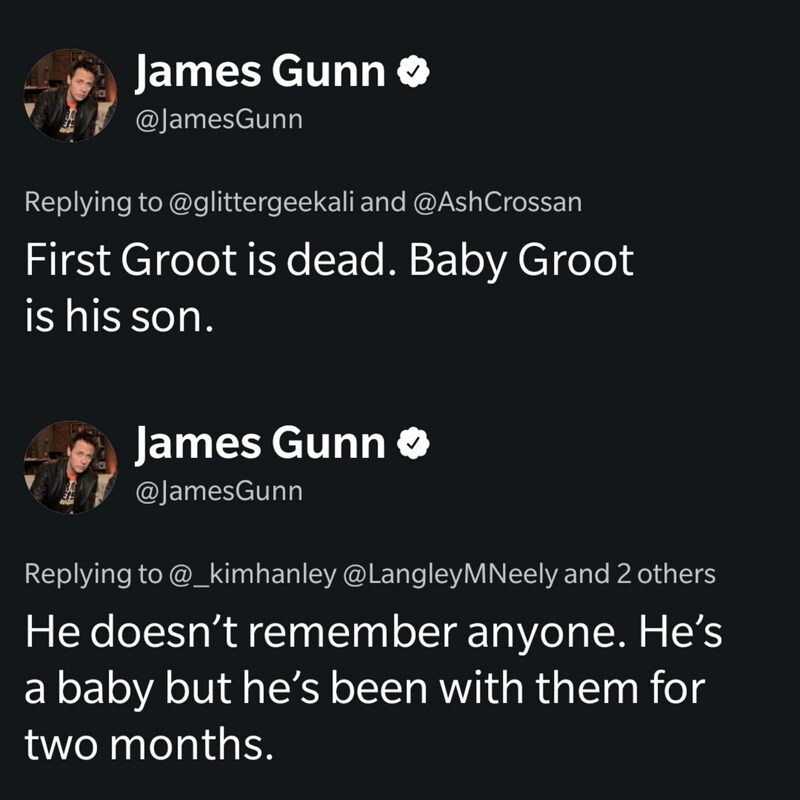 Gunn tweeted. The woman was contacted by the newspaper for comment and was shocked Vezmar had filed a suit. My favorite scene was when baby groot threw up. Confirmation that the first movie was better. Funny video. Oh no, I'm sad now. wags83 wrote: Oh no, I'm sad now. I was joking Chris. The expression is bitter sweet.